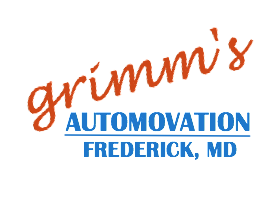 Grimm’s Automovation is your source for everything auto and truck related in Frederick, MD. We offer complete repair, towing, emergency roadside assistance, and mobile repair services for cars, trucks, vans, buses, RVs, and motorcycles in Frederick, MD and surrounding areas. We offer auto, truck, RV, and motorcycle repair for all of Frederick County and surrounding areas including: Middletown, Thurmont, Brunswick, Urbana, Libertytown, New Market, Mt. Airy, Myersville, Adamstown, Buckeystown, and Urbana.